The brand-new Young Book GraphiStudio was built to be young, fresh, with a linear and clear design. It is inspired and aims at the young, dynamic couples who wish for a contemporary alternative to the classical wedding album; its style is minimal and essential. Young Book Graphistudio is available for all our couples from this year on. It is an original and different conception of the wedding album, which will soon stand out the market as a revolutionary product. The Young Book is great for the photographers, too, for its minimal design makes the image the real and absolute protagonist of the book. Moreover, the quality Graphistudio is undeniable! But what is precisely the Young Book? To be short, the Young Book (that you can see above) is a photographic wedding album preserved into a wonderful box. Precisely, the Young Book is constituted by a casket, upholstered by a plastic material which is extremely smooth at touch. 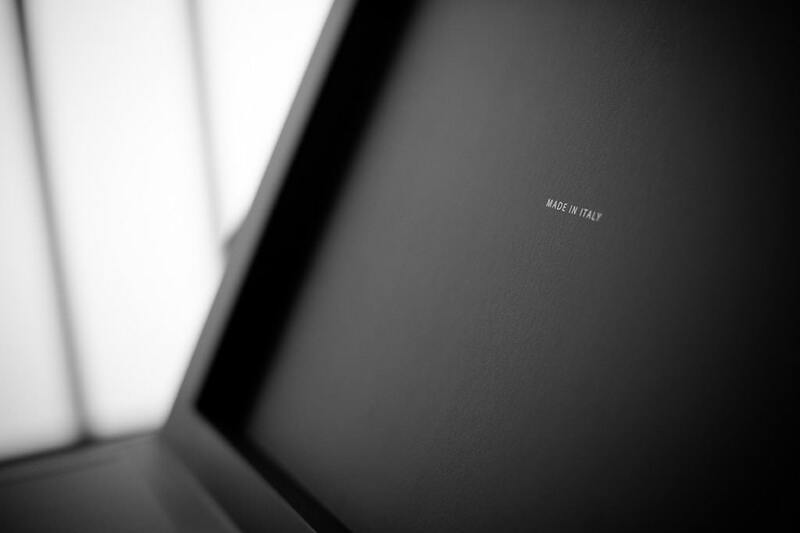 In this case the whole album and casket is monochrome, black; the case has no lock for a minimalistic outlook. The two halves of the casket slot in one another perfectly, but the true beauty comes out once the case is opened. Inside our casket, we find one only writing, one of the factors that made GraphiStudio the world leader producer of wedding albums: Made in Italy, representing the strong point and the trademark of the Italian firm, which is everyday active in reintroducing and remembering the reason why Italy is great in the world. Every Graphistudio product is, in fact, the outcome of a fully-Italian preparatory work, design and production, which makes the high quality of the materials and the attentions to the detail its power. A satin bookmark accompanies us to the album, a small jewel, and helps us to take it out. 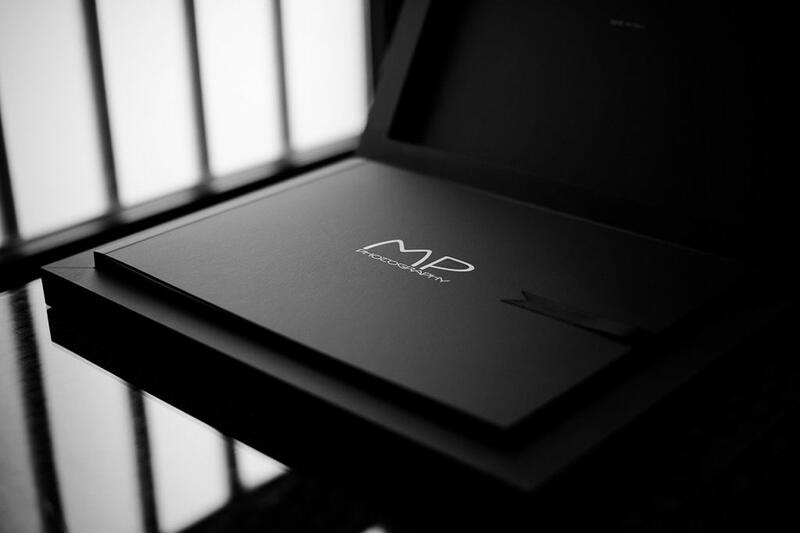 The album once again recalls the essentiality and elegance of the lines that mark the protective box: the cover, as well as the casket, is made of a smooth material, monochrome, with the same color – or in contrast – to the box. 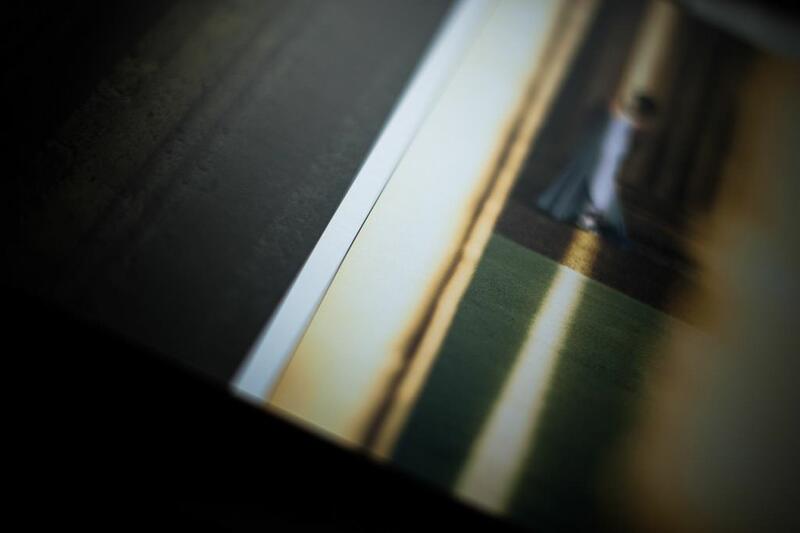 Our Young Book is printed on the exquisite metallic photographic paper with an opaque plasticization. This peculiar paper – our favourite! – gives an awesome color engraving to the images. 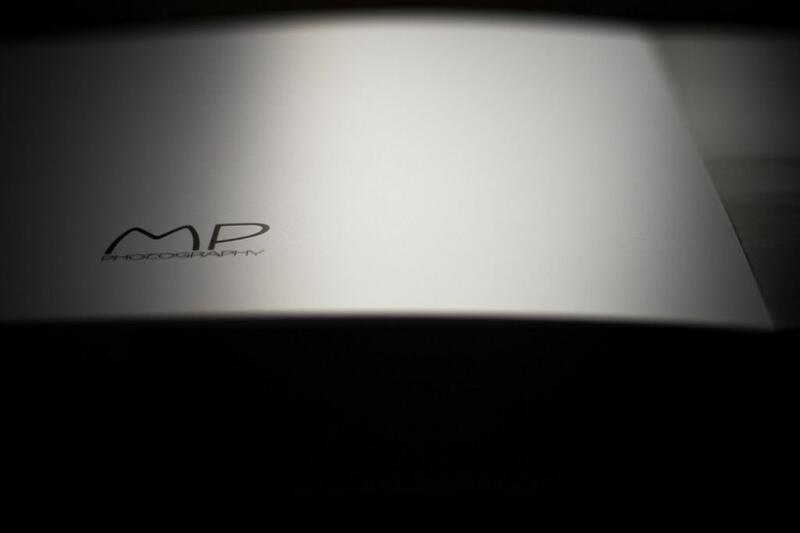 The profile of the pages, black in our case, once again recalls to the color of the box and of the cover. For us, Graphistudio’s Young Book represents – quoting the brand new Academy Award winner, Paolo Sorrentino – the Great Beauty of Italy. It shows us once again that the quality and value of such precious products is destined to last forever. An album to discover, a new way to think about the wedding album – absolutely unmissable!